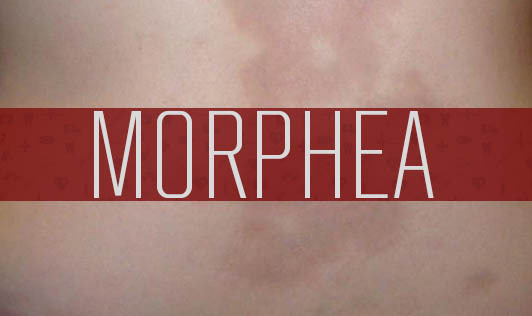 Morphea is a form of Scleroderma that literally means “hard skin”. It usually affects only the uppermost layers of your skin, but in some cases may involve fatty or connective tissue below your skin. Morphea is usually chronic or recurrent. This is a rare skin condition that causes purplish or reddish patches on one's skin. It generally appears on the abdomen, back or chest, but it can also affect the face, arms, and legs. This condition tends to affect only the outermost layer of the skin. Sometimes, it can also restrict movements in one's joints. The exact cause of Morphea is not known although doctors do know that it's not contagious. It is also believed that an unusual reaction of the immune system plays an important role in the development of Morphea. Morphea dries out the affected skin, hence, moisturizers may help soften and improve the feel of the skin. The sun can darken skin already discolored by morphea, so be sure you wear sunscreen. Cover affected the skin and avoid direct contact with the sun whenever possible. Avoid hot showers as it can dry your skin. If you notice any patches of discoloration, hardening or thickening of your skin, contact your dermatologist at the earliest!